James Bell was born into a music family. At the tender age of 5, Bell recognized his love for music. One of his favorite pastimes was following his uncle, Ernest Johnson, to band rehearsal. There he would listen for hours and imagine himself as one of the band members. 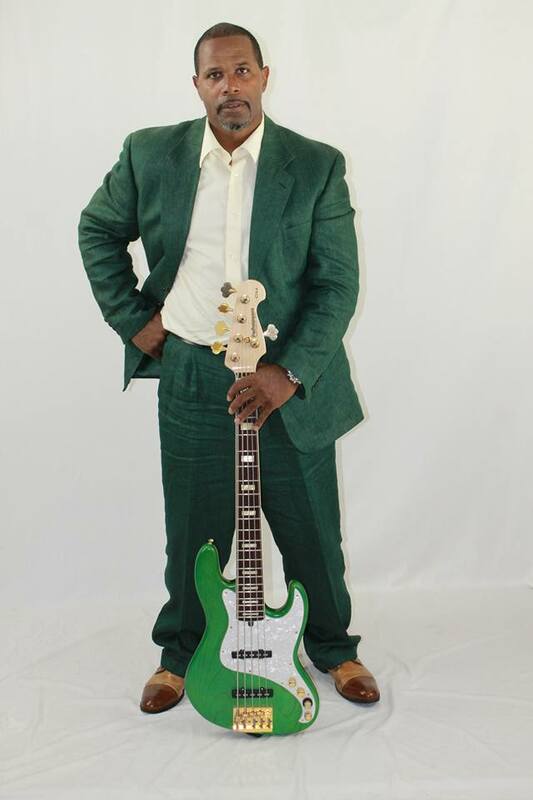 Realizing his nephew’s thirst for music, Uncle Ernest gifted young Bell with a 4-string bass guitar, a gift that would forever change his life. Born and raised in the San Fernando Valley, a quiet suburb northeast of Los Angeles, Bell received his music education and played in both high school and local bands. James received his influence from world renowned artists like Larry Graham, Lewis Johnson, and Marcus Miller. As a teenager, Bell was friends with the son of Louis Satterfiled, band member of Earth Wind & Fire. Bell was again given a life changing gift, the opportunity to observe Earth Wind and Fire craft timeless hits. This incredible exposure fueled an unquenchable fire for becoming a professional bassist and song writer. After graduating high school, Bell partnered with song writer and producer Rodney Foster. Together they wrote a collection of songs across multiple genres and formed multiple bands. Finally 1982, Bell joined R&B band, Special Report and went on his first musical tour. This experience expanded Bell’s music ability and challenged him to venture onto the piano and drums. Touring also developed Bell’s showmanship. Bell returned from touring in 1983, and decided to work locally and hone his craft. While working with local bands, Bell also joined Calvary Missionary Baptist Church and helped grow their music department. Bell continues to serve at Calvary and believes that this invaluable experience has built his confidence as an independent artist. In 2011, James joined Sir George, a gospel / smooth jazz group. James believes Sir George is a perfect match. The band allows him to exercise his skills while challenging him to push to the next level. Now 5 decades later, Bell’s passion and experience has transformed into talent and expertise. Today, Bell is one the most talented bassist in Southern California. Bell’s ultimate desire is to return to education and earn advanced degrees in music.